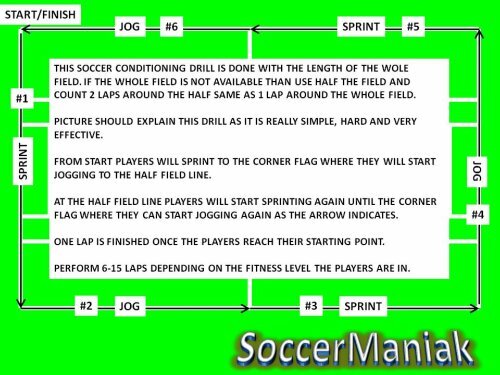 Speed training for soccer is very hard and some players don't see the benefit in doing all that running. 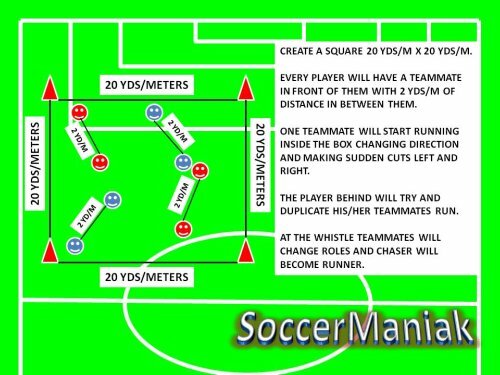 Speed is a big factor in playing organized soccer games. 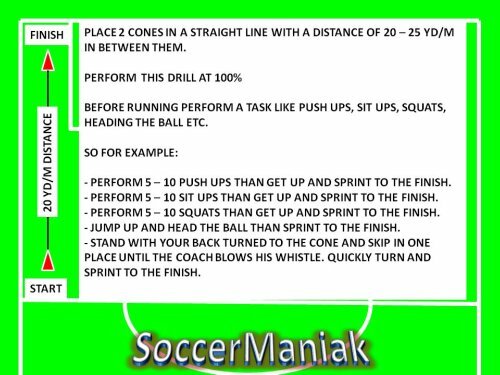 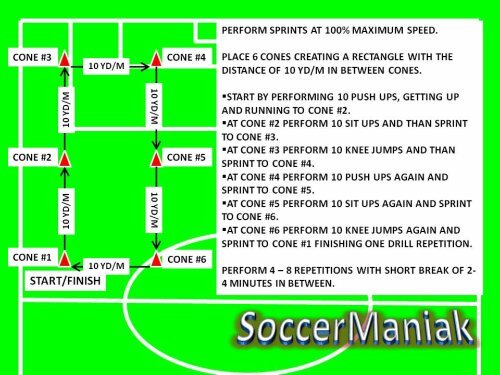 Speed training compliments fitness and conditioning that can transform the players game and allow their skills to shine for the entire soccer match. 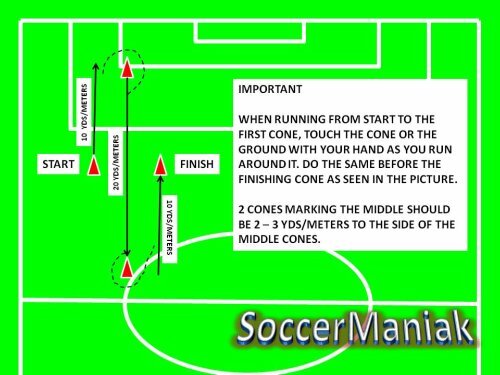 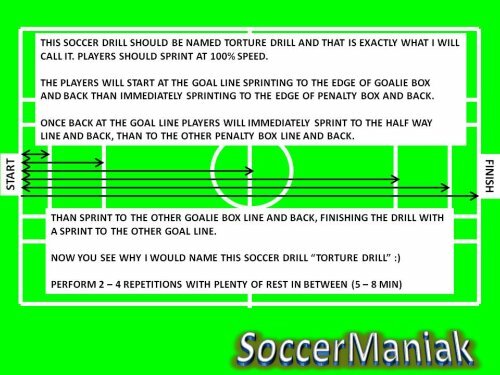 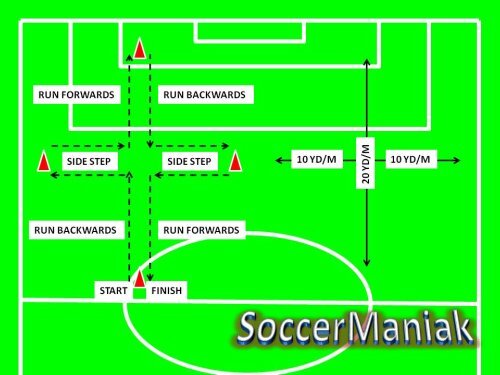 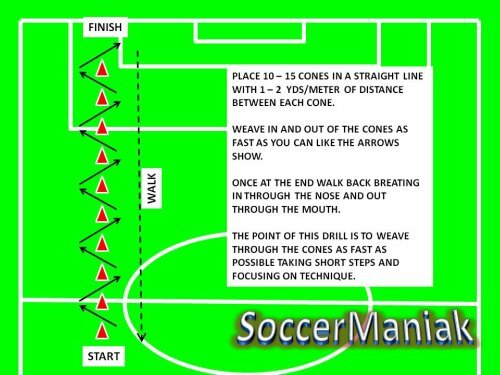 This is a simple soccer exercise where players simply sprint forward. 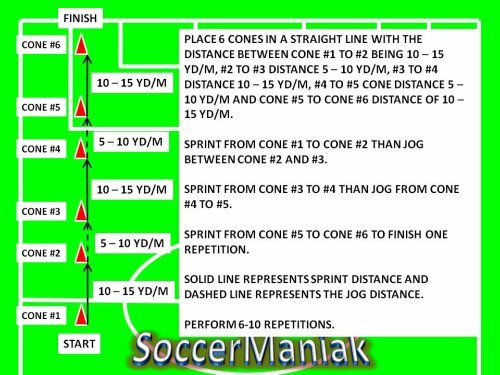 Set up 2 cones 20 - 50 m/yds apart. 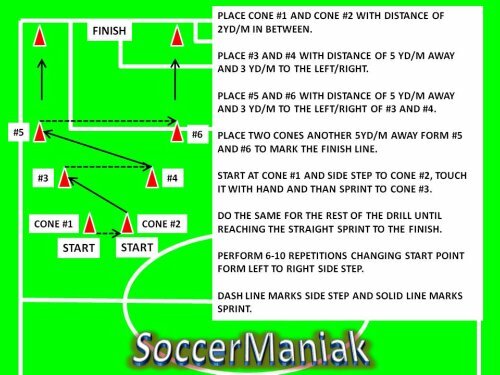 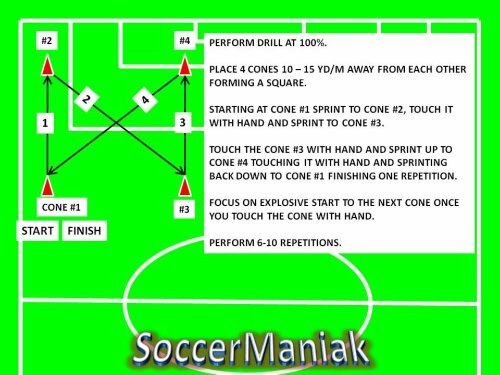 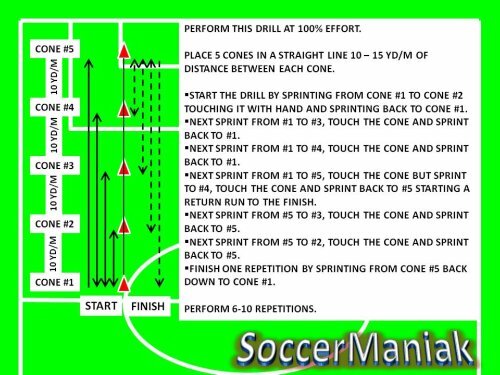 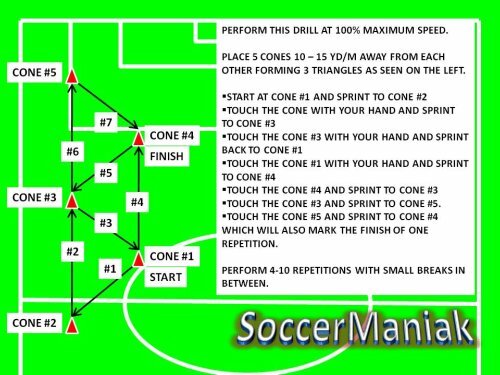 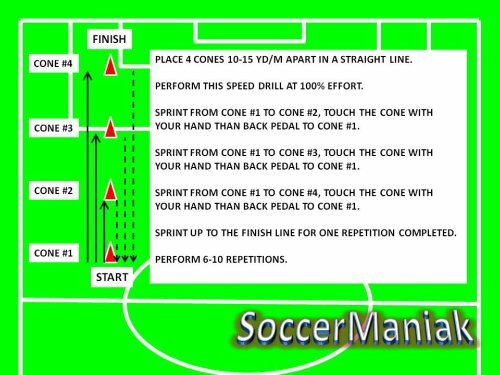 Full 100% sprint to the opposite cone. 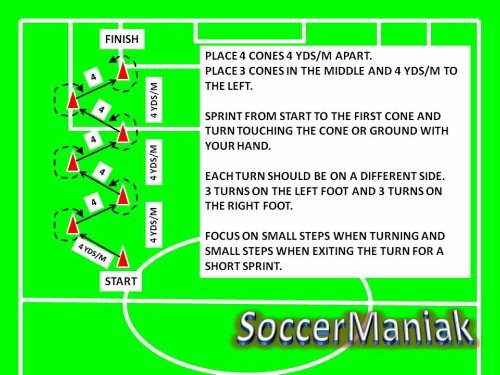 Pair up players for more competition. 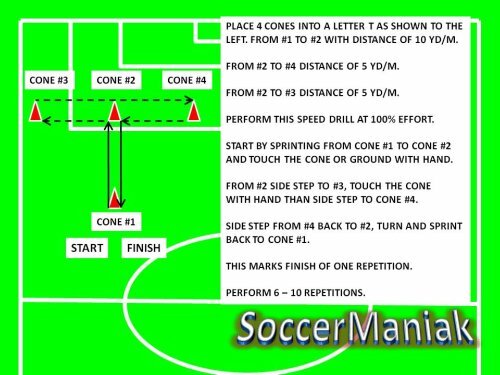 Get creative and use simple exercises to engage players more.